Tis another year past since last we parted ways on raised cups, fair seas and foolhardy words of pillage and plunder. Once again, I have been tasked with recruiting a crew of scalawags & scoundrels capable of pillaging the furthest corners of the map and deepest depths of the sea for booty ne'er seen before. From maps filled with treble'd waters & keys, we will unlock riches beyond our own imagination by the sweat off our backs! What say you? Will ye hoist the Black Flag and go forth into the unknown abyss, following treble'd maps toward great adventure and rewards ne'er seen before? Like I was saying, would you guys be interested in helping find new music that's uncommon? There's so much out there that have been lost to time and we have a wonderful opportunity to bring some of it to light! I've done so recently with both Civil War & Rev War era tunes as well as sea shanty's! 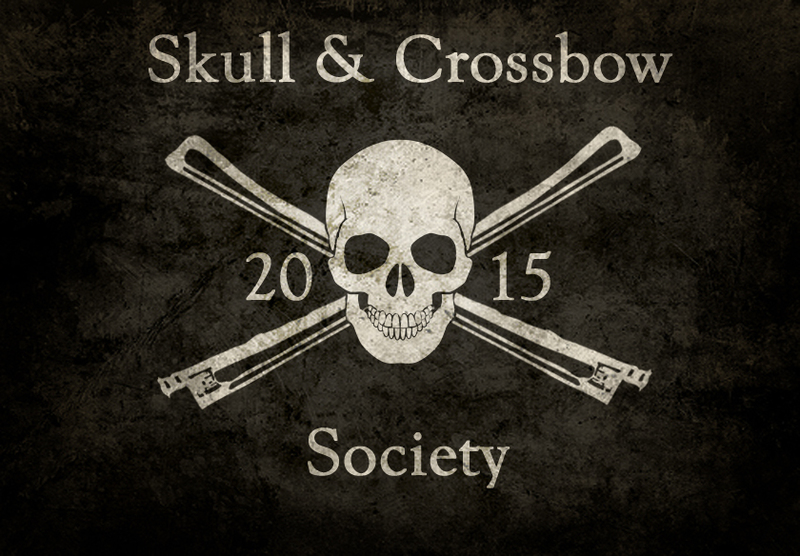 Welcome to the Skull & Crossbow Society! Since I first created this image 3 years ago, I figured that it should be more weathered in appearance than the previous 2 years. I love how these turned out! 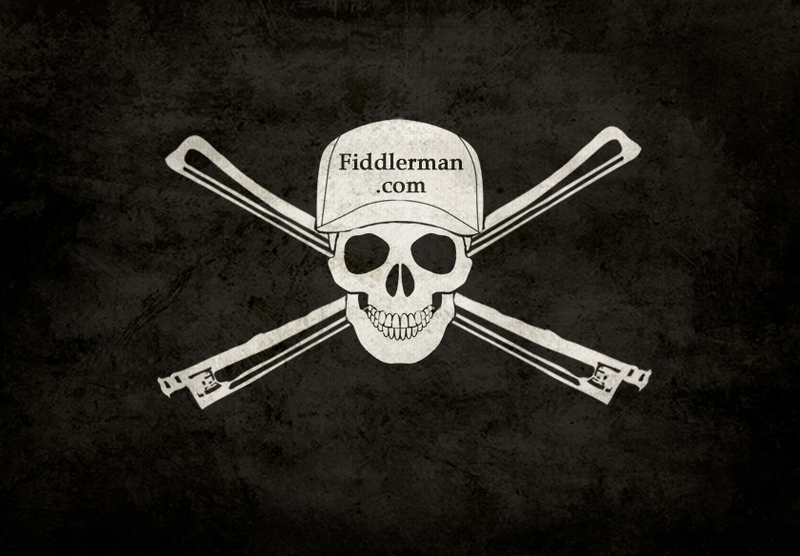 If anybody has a family crest, symbol or sigil, I'd be more than happy to incorporate them into your own, personalized "Jolly Fiddler!" It was pirate tradition to include some sort of symbol on their Jolly Roger to help identify who they were. For example, in the movie, Pirates of The Caribbean, Captain Jack Sparrow had a red sparrow painted in the corner of his flag in the traditional blood red. ....and of course, I couldn't leave out @Fiddlerman ! This is awesome EJ... Love the weathered look. Count me in as a member. Let me know my duties and I am eager to participate. To me, any music lost to time that has been found is treasure!! If you can find any violin music that may not be well know that you think should, please share it! I found so many good songs that I would have never heard about unless I accidentally stumbled on to them. Songs like "Leave Her Johnny, Leave Her" and "Hargalaten" come to mind! They all have great stories but are not known because orchestral elites cast them aside. It's time to sail free under the Jolly Fiddler and bring these treasure back for our own! I think we should have a spot for these songs as well. Maybe our own "treasure chest," buried away here! Hey EJ. Do "weird/rare/interesting instruments" count as lost music as well? Hey @EJ-Kisz - I'm in! I'm always on the lookout for older pieces, especially of the civil war era. I'm currently building a replica civil war cigar box fiddle so when we find some of these, I'll be able to make them sound authentic! Arrr, @kylesito & @augustoad, ye be on the right ship, me harties! Hoist the colours! People have traveled with all manners of fiddles! Some, we may never see again. That is a true treasure! @EJ-Kisz, Cigar Box fiddles are a charm! I love how simple they look. If I ever get to find a cigar box laying around, I'm sure I'll make one.